New Coal - Treatment — M.Y.O.M. A speculative documentary film telling the short stories of a mining town amidst a future industrial revolution. With the discovery of graphene in coals chemical makeup comes the revival of the Britain’s mining industry. In this new story of coal the ex-miners and their families depict ways they have played their own hand in the rise of a new carbon future from a working class standpoint. In acts to regain some power over their circumstance and what is albeit their heritage, how do the miners this time break a cycle of labour. RED digital shot high-speed imagery supports the fictional narrative. Materials, hand gestures and locations are the main visuals as not to give away too many clues of an exact date or a crude depiction of the objects being disgust themselves. Lead by the narrative of an individual whom was able to profit in this new climate. The image and audio will never directly correspond, the visuals only help support the narrative and hint at this future as if to show a warped snapshot, while reflecting the simple values within our lives that will ultimately remain constant in any future. All shots are extremely close up and in extremely high speed photography. The main character is a women (Alice), mid twenties. She lives in Doncaster, an ex-mining town in Yorkshire where this story is based. Her identity is never explicitly told, she is just a case study that represents this new version of events. Her interview will tell the story of the nail salon she owns and how the influx of graphene started an unpredictable trend. As we follow Alice we meet two relatives, an Aunt and her elderly Grandfather (an ex-miner) each of which interject with a brief story of their own. Alice is a young women who saw nothing of the original mining industry, she knows the strike happened and that relatives of hers were affected, but this feels like a history never fully told and left to fade. The arrival of these suited giants has created a real stir in the town, and the reality that the control of their community could be taken once more is ever more apparent. Ignorant as to why there was so much resistance she welcomed a change and saw nothing but opportunity. Opening shot: Moving fabric a bed sheet blowing in the wind hung out to dry. Audio: Sounds of the surroundings can be heard, birds, wind and distant cars. 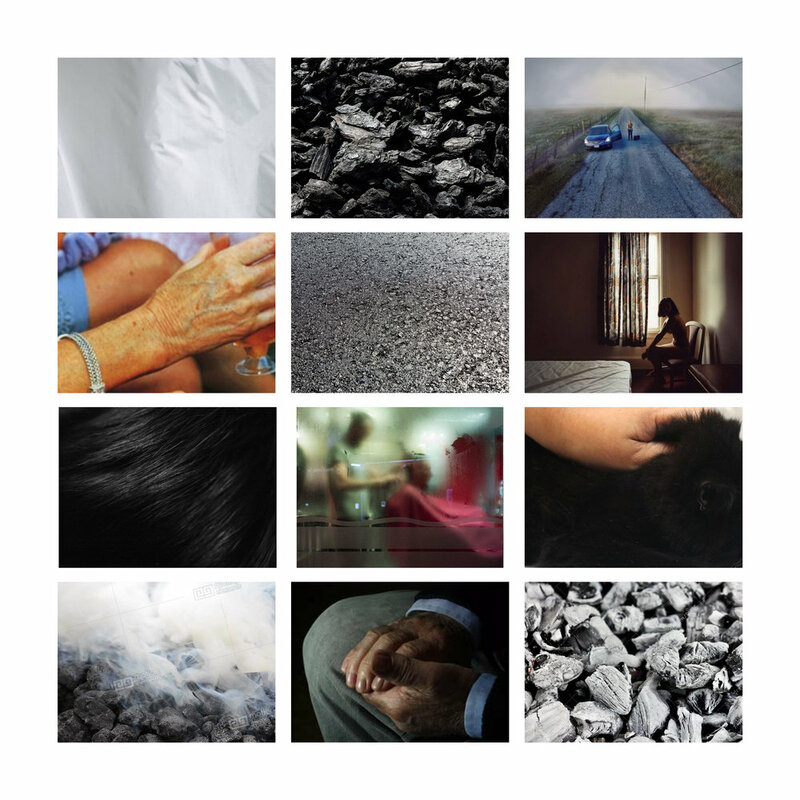 Shot change: The image flips to a shot of coal, a stark contrast to the crisp white bed sheet. Narrative: Alice begins to describe the event of the factory opening. Shot change: Low panning shot of a pit village. Narrative: Alice begins to describe how her salon underwent a dramatic upheaval as she had an unusual idea to use ‘graphene’ in her nail work. She describes how a this was the start of a new trend in the town, the nails were strong enough to last for months and there were some extreme cases of girls walking around will 2 foot nails. Narrative: The story takes a humorous turn as Alice describes what happened when these girls decide to remove their nail extensions, only to really realise the true strength of the graphene. Shot change: Images of the beauticians from behind. Narrative: These fashion nails became steel caped fingertips and from this arose a very different trend. Alice’s business turned from a nail salon to a nail blacksmiths. Audio: All met with the background chatter of a salon and the heavy industrial clanking of a black smith’s. Shot change: The steaming window of the salon with sparks blurred out by the condensation on the windows. Narrative: Alice explains how this trend boomed. How men and women alike picked up on it and the human hand transformed into something that looked like a tool kit, with the left little finger being used for anything from a front door key to a wifi port. Shot change: Imagery reverts back to the coal. Shot change: Long panning shots of the dull grey fields that surround the town. Shot change: Switching to a shot of the tarmac where the silhouette of the future homes can be seen. Narrative: Leading onto the story told by Alice’s grandfather, George. George tells the story of his Grandson, a hard working man that no one including George himself expects too much from. He comments on the ridicule his grandson faced when he first revealed his invention only to the amazement of everyone when confronted with its success. Shot change: Old hands rubbing together (George), careful not to reveal his left little finger. Narrative: George’s grandson invented a plasterboard graphene hybrid that meant the local community were able to cheaply build home extensions that were incredibly light but durable as if made with steel girders. This story explains how George’s grandson indirectly solved a future housing crisis in the town, with the aim being to reflect the changing landscape of this future town and it’s had-hock architecture. Shot change: This is met again with shots from the salon to juxtapose narratives to create a sense of confusion and connection between the stories being told. Audio: Chatter and industrial sounds from the salon scene. Shot change: Mining scars on the knees of an elderly man (George). Finally Alice’s Aunt interjects with a story of how not all cases have worked out so well. Narrative: She tells of how a young girl began to dye her dogs fur with graphene as rumour spread of its increase in hair strength for and its antibacterial properties. The hope was to cut down on vet bills and protect her working dog, but this unexpectedly created an underground dog fighting scene which resulted in a blanket ban on the dye. Narrative: Word has spread in the town that the police are still in use of the die. Shot change: Close up shot of someone grabbing a black dog buy its scruff. Narrative: The story hints at this animosity, divide and stir reoccurring between the local community and the police with coal and politics being at the heart once again. Shot change: A close up shot of a black dog barking. Narrative: Alice interjects with a final comment of how she feels this change is great for the town but the overall opinion is left unanswered. As the film progresses the hold time of each image is decreased, the increasing pace begins to show shots from all three narratives tales repeating in random order. Audio layering of salon chatter, industrial metal work and barking dogs all begin to overlap. Until finally all audio stops. Shot change: Coal is burnt a grey ash with a hot flickering glow underneath. Shot change: The shots continual flip throughout from the scenery to the salon and hand gestures, all broken up by this shot of the burning coal. Shot change: The final shot is a split screen. Horizontally split in the lower half a shot of the grey ash, disturbed by wind and a moving shot of grey dreary looking fields in the top half. Audio: After George’s song, audio returns to the calm of the pit top, birds and distant cars in the background.